For ages there have been those who have studied the Tapestry of Life. Granted the gift of Magesight, they can see beyond the veil of illusion and study the Threads of Creation, called Leylines by the wise. In time, they discovered the true nature of the Threads, and found that all matter and energy is in constant motion. The five elemental forces, Earth, Air, Fire, Water, and Spirit, continually bind and twist to form every object and creature in our World, and the Leylines serve as the conduits for their motions. The ancient masters discovered that they could speed, slow, or redirect the elemental flows, intoning chants that are but the echoes of the All-Father's great Song. Thus was a new kind of Magic born, and with it were born the Channelers, some of the most powerful magicians the World has ever known. The Art of Channeling is still practiced to this day, and its masters are able to call fire, walk upon water, cause earthquakes, or ride the winds like eagles. The Channeler conjures the wrath of nature to decimate his enemies. The salvos of ice, fire, and lightning hewn by him are so powerful that they can hinder of halt advancing enemies from their sheer, destructive force. Although he can beckon the earth for some geomantic protection, the Channeler's best defense is his offense. The Channeler is capable of ludicrous amounts of damage, if played properly. Your casting times tend to skew higher so knowing where and when to anchor yourself for another spell is delicate craft to hone. The two base classes factor heavily into your moment-to-moment decision making. Although it's best to build this character entirely offensive, that doesn't mean you should ignore your defensive options. A correctly timed dance into Defensive Stance or activation of Flesh of Granite can save you from deadly encounter. It's tempting with Mage classes that have class invisibility powers to eschew prestunning. Although there are situations where this is sometimes the correct decision, on the whole it is better to stay stun immune given your innate survivability. Although you deal multiple damage types, elemental resistance debuffs do not stack with each other so keep in mind the last bolt spell you cast to know what damage type to which your enemy is vulnerable. Blessed Mending and Blessed Healing can be a godsend in many situations, but they do not substitute for good positioning. You are there to rain hell on your opponents. Constantly having to heal yourself cuts into that damage output. 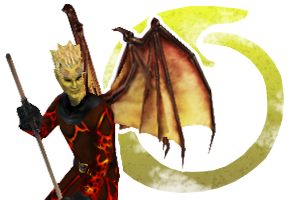 Due to Healer Channeler's high Defensive Stance, a very popular way to play them is as a high-defense caster. 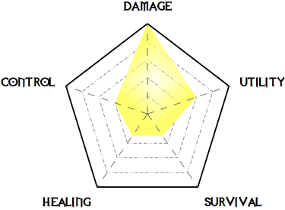 This does, however, cut heavily into your damage output, therefore a high-defense Channeler is not always the right character to bring to a fight. Your shield can have an enchantment that increases your chance to block an attack or an enchantment that increases your resistances to a certain damage type. Learning about what types of characters your enemies favor can give you the edge by sculpting your gear to counter them. This page was last modified on 21 August 2018, at 21:46. This page has been accessed 160,304 times.